Morning briskness, fall colors and the paling summer warmth, holiday season is fast approaching. Before you know you’ll be in the middle of handling guests, visiting family and friends, buying gifts and socializing around the neighborhood. Its time to start preparing so that you don’t end up catching up with the festivities but cruise through the holiday season with flying colors. Get yourself some nice clothes and accessories to make you look your gorgeous best for the festivities. 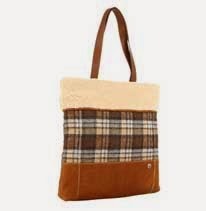 Choose from these fashionable handbags perfect for the holiday season, download coupons and get holiday ready instantly. 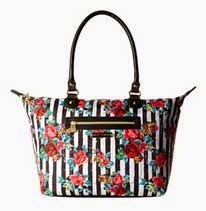 Another floral pick from Betsey Johnson, just a little bolder. 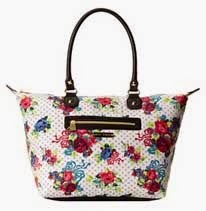 If your style is feminine and expressive at that, the Blooming Springs Satchel is for you. 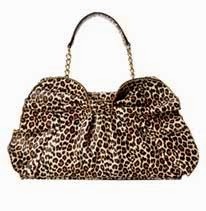 With Betsey Johnson quality and 6pm assurance, this bag ca be a great pick. 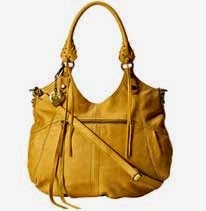 Plus, get stunning discount for the lovely handbag. Buy it from 6pm for $36.99 instead of its retail $98.00. Save $61.01. Click here to download the savings coupon.